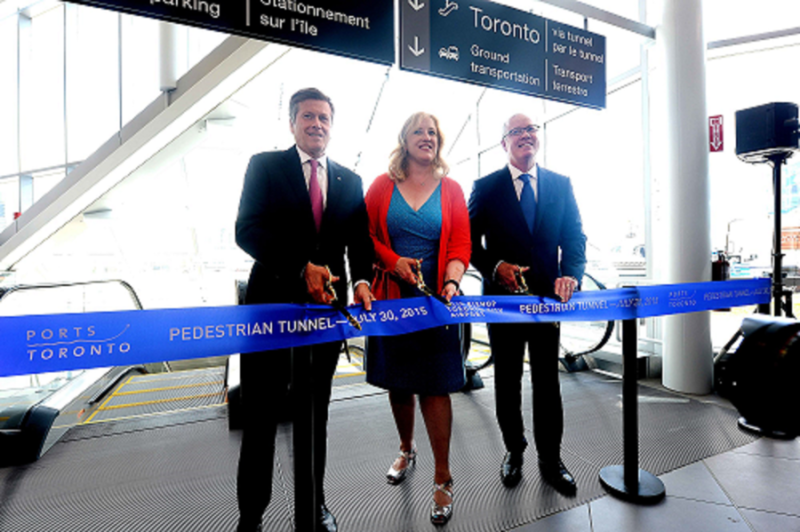 On July 30, PortsToronto opened the BBTCA Tunnel to time-sensitive business travellers and other customers. By all accounts it was a media hit. As of this writing, no media reported any streeters aka interviews with time-sensitive business travellers. So while we wait for user reviews, there are tea leaves to read that raise questions. 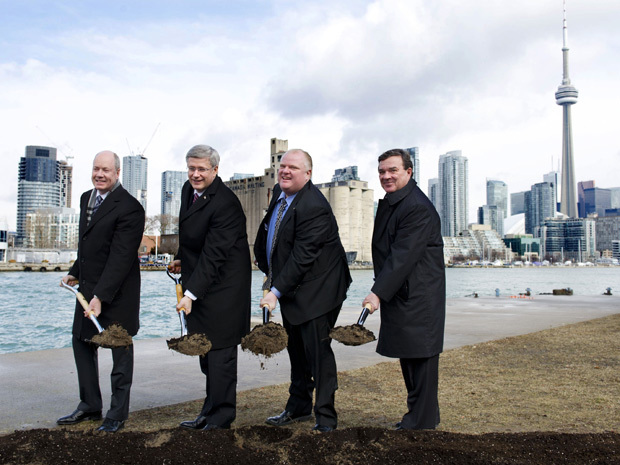 On March 9, 2012, the tunnel was really important, so important that a prime minister, a finance minister, a Toronto mayor and the longest-sitting PortsToronto board chair each challenged his back muscles to lift shovels to inaugurate the project. The inauguration saw Prime Minister Harper and then Finance Minister Flaherty pose for glory. On July 30, 2015, the tunnel was complete but if the ribbon-cutting participants are any indication, the importance of the tunnel, certainly as a photo-op, has gone down market. How does Transport Minister Raitt equate with a prime minister and a finance minister in terms of clout? Sure the terminable PortsToronto board chair is still there, as is a Conservative Toronto mayor replacing an unpredictable Conservative mayor. But a prime minister and a finance minister have been replaced with a transport minister. Days before a federal election was announced, one would think a prime minister and a finance minister, from a Toronto riding no less, would be all over this thing like ants at a picnic lunch. It’s almost as if the smart people are taking a wait-and-see attitude on the $82.5 million hole in the water. Or, maybe they just don’t want to be connected to anything that works to despoil the waterfront with jets. As for the Others, they are left holding the scissors.